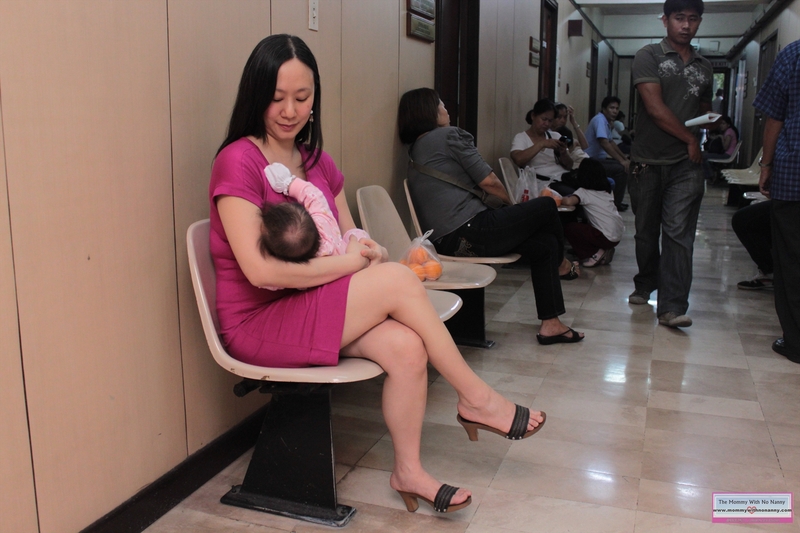 When I became pregnant, I knew I wanted to breastfeed my baby. It was the most logical thing to do. Except that I didn’t know if I could hack it. 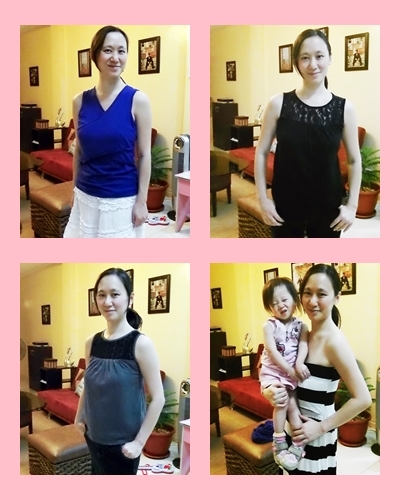 To encourage myself, I bought plenty of nursing tops and dresses from Mommy Matters! They were on sale that time and it cost just P250 for one dress! Later on I also bought from Mamaway, Blissful Babes and other imported brands. I figured that because I had already spent a considerable amount on nursing clothes, there was no turning back! Instead of wearing maternity dresses, which made me feel frumpy, I started wearing nursing clothes during my last month of pregnancy. When my daughter came out, I was able to breastfeed her, despite the initial pain, thanks to Mishca’s pediatrician, nurse Rubi and dad’s support. We’ve been happily nursing for almost 2 years now. We nurse in the car, in the mall, in church. . . everywhere! It wouldn’t be possible if I didn’t have the right nursing wear which allows me to feed her discreetly. Nowadays it is getting harder and harder for me to find nursing clothes that fit. Breastfeeding really whittles away pregnancy fat! I’ve gone from Large to Extra Small. Some days XS even feels loose. That is why I was so happy to have found Tiny Tots Nursing Wear! Tiny Tots is the brainchild of Vic-vic Cabugao. 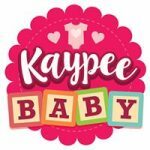 I first stumbled upon her online store when I was looking for cute and unique onesies for my daughter. Mishca has been wearing her Tiny Tots tuxedo and Philippine map onesies since she was 6 months. They also have uber chic bibs, baby dresses, mommy eco bags, breastfeeding covers, baby docks seats, etc. 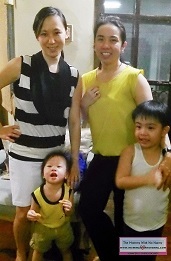 Since Vic-vic was once a nursing mom (she nursed 2 boys! ), she knows what women are looking for in nursing clothes. Function and fashion need to go hand-in-hand. The nursing access should be easily opened but at the same time be discreet. More so, nursing wear is unique in that it should not look at all like nursing wear. 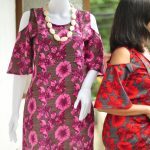 And that’s what Vic-vic is offering through her collection of breastfeeding dresses and blouses. To encourage more women to nurse their babies, Vic-vic made her brand very affordable. 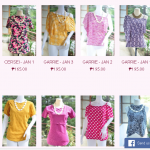 Their dresses cost only Php750 and the blouses Php400. I visited Vic-vic in her house in West Avenue to try on a few pieces. I was very happy with my purchases. Since it’s summer, I got mostly tank tops. I also got a maternity dress converted into a nursing dress. Here are some of the clothes I got. . .
Vic had delivered the dress that I had altered after just 2 days! And I kid you not. They have stay-in sewers, she told me. If you don’t find anything in your size, Vic-vic can easily have one custom-fit for you. If you are not happy with the fit of anything you bought, just send back the item with your instruction and the courier fee. Vic-vic told me that they will unveil their collection of short dresses soon. I got to peek at the designs and I can’t wait to get a hold of them!